We love any store that promotes Indian artisans and their art, don’t you? At Kraftsun, near ABC in Budhwar Peth, you can shop for art from across India. Some stuff is worth showcasing, others are functional, but there’s a lot you can buy here to add a touch of ethnicity to your home. We found cute handmade paper diaries with metal artwork on the cover. 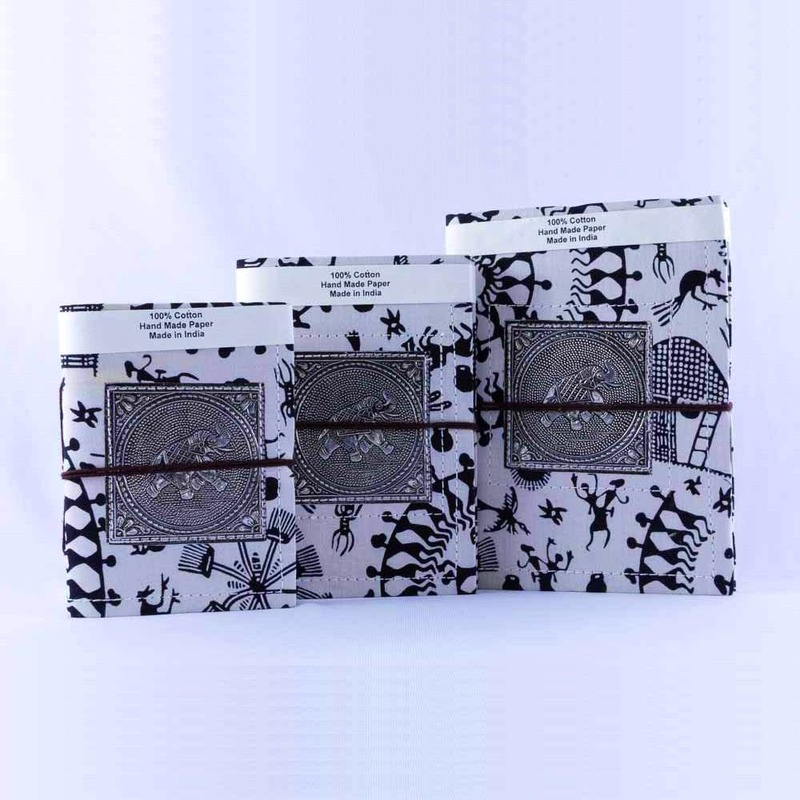 You can get a set of three diaries in different sizes for INR 750. The store is big on metal! They have vases and pots from tall to short, in different shapes that would look gorgeous with some indoor plants in them or you could use them to decorate your patio or garden. They are priced INR 2,000 onward. There are iron stranding glass tea light holders for INR 250 and other lamps and diyas that would make for pretty Diwali gifts (bookmark this store for next year). There are also Rajasthani wooden and wrought iron musicians that would make for cute pieces to hang on walls or to keep around a room that wears a very Indian look. They’ll set you back INR 3,500. The store also has handmade bags. We found a few cute Kutchi work purses for INR 199 and sling bags for INR 350. There are several other tote and leather bags too. The store is going to have a sale post the Christmas long weekend. So, you can get some items at a cheaper price. If you’re planning to decorate your home, there’s not better time to go! We found that most artwork was from the north. We’d love to see southern art being curated here as well.